Remembering pioneer animator Batchelor Jump to media player Vivien Halas tells Rebecca Jones about the life and work of her mother, the pioneering animator Joy Batchelor. Game festival returns to Teesside Jump to media player Thought to be the largest if its kind in the UK, Teesside University is hosting the 15th Animex - an international festival of animation and computer games. Over £2m raised by Gromit auction Jump to media player An auction of dozens of decorated models of animation character Gromit the dog raises more than £2m for Bristol Children's Hospital. Schoolgirl writes for animation firm Jump to media player A schoolgirl from Sussex has created two of the latest adventures of Shaun the Sheep. 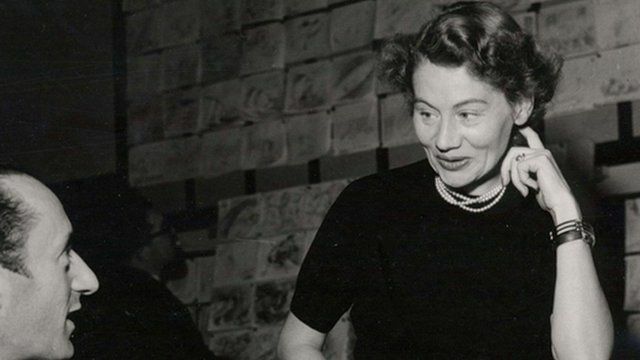 Joy Bachelor was a pioneer of British animation, responsible for films such as Animal Farm and Asterix. Her daughter Vivien Halas tells Rebecca Jones about her life and work.